In 2017 the event attracted 40 teams from throughout the North-East and raised £6000+ on the day; divided equally between SSAFA, the GNAAS and The Sir Bobby Robson Foundation. "We are grateful to all those businesses and individuals who sponsored the event and to the teams who took part. 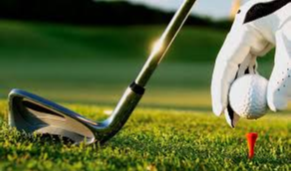 We are especially grateful to Alnmouth Golf Club at Foxton for granting us free use of the course and club house facilities which enabled us to raise funds for these very worthy causes. We also have to thank members of the Inner Wheel who organised and ran the two raffles"
Rtn. 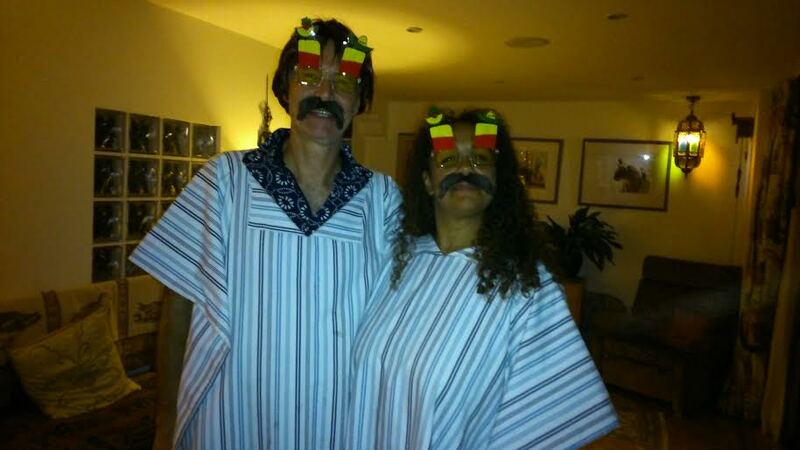 Derek Conway, and his wife, acted as hosts for a Mexican themed evening to raise funds for his committee. Good food, good wine, good company and perfect hosts made for an excellent evening. This little muchacho, pictured with his fiance, claimed to be the Club Secretary at the time.............unconfirmed! 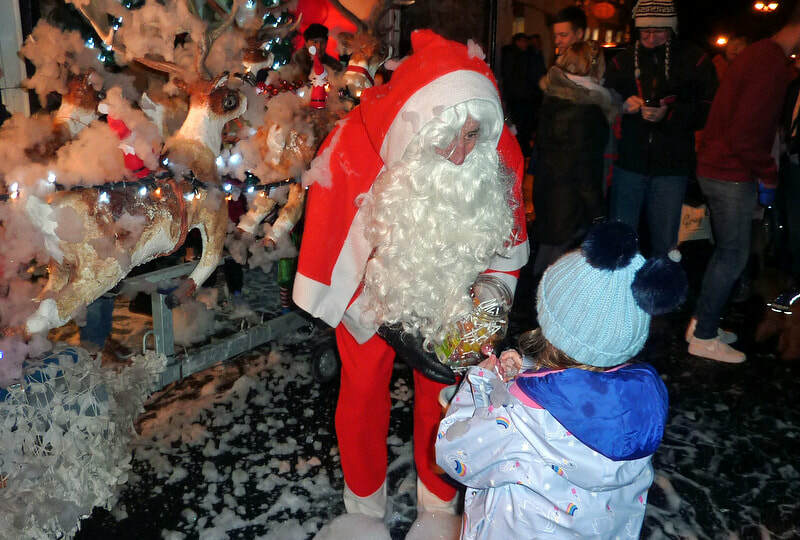 Each year we bring Santa to Amble, Warkworth and the surrounding villages. Santa is pictured being helped by members of Rotary Amble and Warkworth at the Amble Christmas Lights last December. 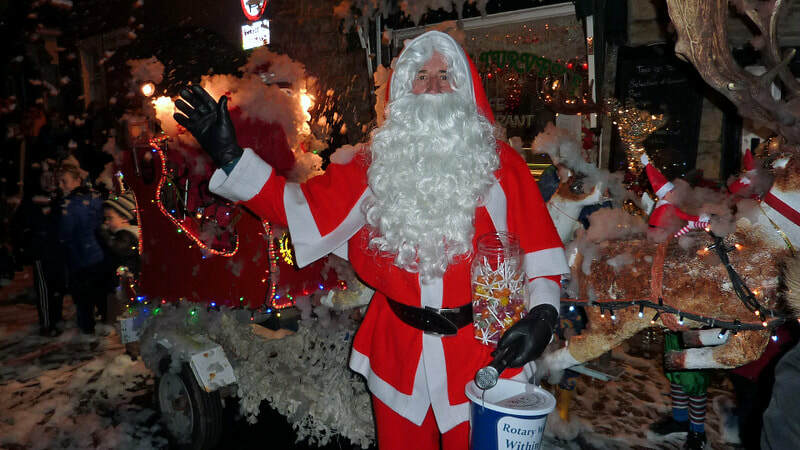 We also accompany Santa when he tours local villages collecting for local charities. We bring the real Santa to our area.....watch out for imposters! Christmas 2018 saw collections pass £6,000 for which we thank the residents of Amble, Warkworth, Red Row, Hadston, Broomhill, Togston and Acklington.